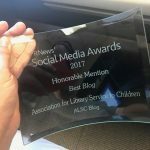 With 2016 drawing to a close, newspapers, journals, magazines, blogs, and other publications have released their favorite books, movies, TV shows, and recordings that were released in 2016. We are also exactly one month away from the announcements of the Youth Media Awards! With that in mind, let’s discuss our favorite reads (with a 2016 publication date) from this year. 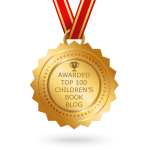 Board books, chapter books, poetry, nonfiction….I’d love to see what grabbed your mind and heart this year, especially if you think that it has been overlooked in the “best books” lists. 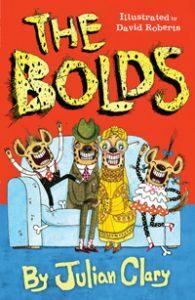 I was totally not expected to be enthralled by The Bolds as much as I was; I thought a story about a family of hyenas that disguises itself as an everyday middle-class British family sounded too ridiculous for me. However, a young patron really enjoyed it, so I took it home. Yes, the story is as bizarre as it sounds, but it’s also brilliantly funny. Fans of Roald Dahl should definitely pick this up. 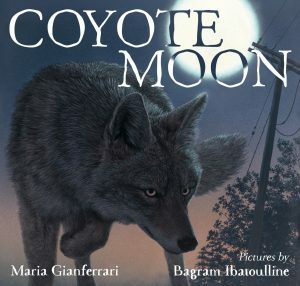 A coyote mother’s quiet but stirring journey to find food for her family is beautifully executed in Coyote Moon; suburban nature is not often depicted in children’s books, so this happily fills a niche! 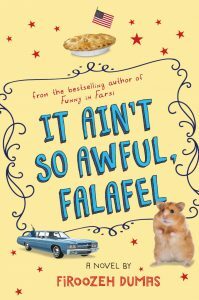 It Ain’t So Awful, Falafel is a welcome and much needed addition to 20th century historical fiction; eleven year old Iranian-American Zomorod’s coming of age story during the Iranian hostage crisis is at times funny, enlightening, and heartbreaking. 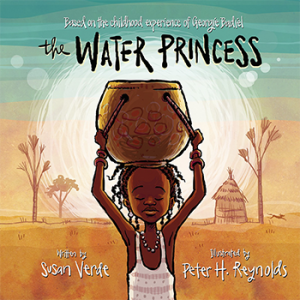 The Water Princess, based on model Georgie Badiel’s childhood in Burkina Faso, is an eye-opening, gorgeously illustrated, and hopeful look at the difficulties a young girl must face on a daily basis in order to provide water for her family. Now, it’s your turn! 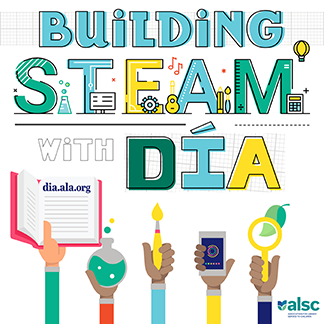 What were your favorite reads in 2016? Let us know in the comments! I just finished listening to the audiobook ONE HALF FROM THE EAST by Nadia Hashimi — what a fascinating, thought-provoking book. If you are interested in gender roles, Afghanistan, and/or stories about strong girls you can’t miss this one. Definitely one of my favorite books of the year. Thank you for including Coyote Moon here, Jennifer! I’m glad that you enjoyed it! I’m a VA resident too, and I’ll be at the Virginia Festival of the Book doing a marathon read of Coyote Moon :).